Share the post "A Personal Reflection on the Rohingya Crisis"
I have stopped trying to make sense of the horror that continues in the Myanmar-Bangladesh border. But, I will say a few things, by way of coming to terms with my ignorance of the Rohingyas’ plight while growing up that doesn’t seem so benign after all. I grew up in Bangladesh in the 1980s. The only thing I knew about the country that bordered us to the east was that they made mouth-watering pickles and lovely sarongs, which could be purchased in the Burmese Market in Cox’s Bazar, a popular tourist destination in Bangladesh that happens to border Myanmar. It speaks to how Bangladeshis accepted the West’s view of Burma as this odd, backward place. I will also say that at the popular level, we didn’t realize there was a 200,000 strong Rohingya population in Bangladesh, fleeing persecution there. There is an ethnic Rakhine population in Chittagong; perhaps we conflated them? 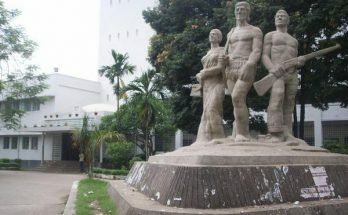 We had no idea that in 1982 the Burmese government claimed they were Bangladeshis and stripped them of their nationality. Again, not to generalize too much, but it seems as though in the name of “quiet diplomacy,” Bangladesh has been avoiding confrontation. Let’s wrap our head around this. The persecution of the Rohingya began in 1974 and the first wave of refugees entered Bangladesh in 1977. Despite certain periods of repatriation, the Rohingya refugees in Bangladesh have been a permanent presence. It is only now, 40 years later, that their persecution has shocked the world. For, at least, the last twenty years, we have been saying we live in the “information age” and no crime gets away. And yet, it took us 40 years to notice how the Rohingya are being cleared out of Myanmar. The cumulative number of refugees today is estimated to be around 800,000. The scale of the crisis becomes particularly shocking when we realize that the Rohingya population in Myanmar is about 1 million. 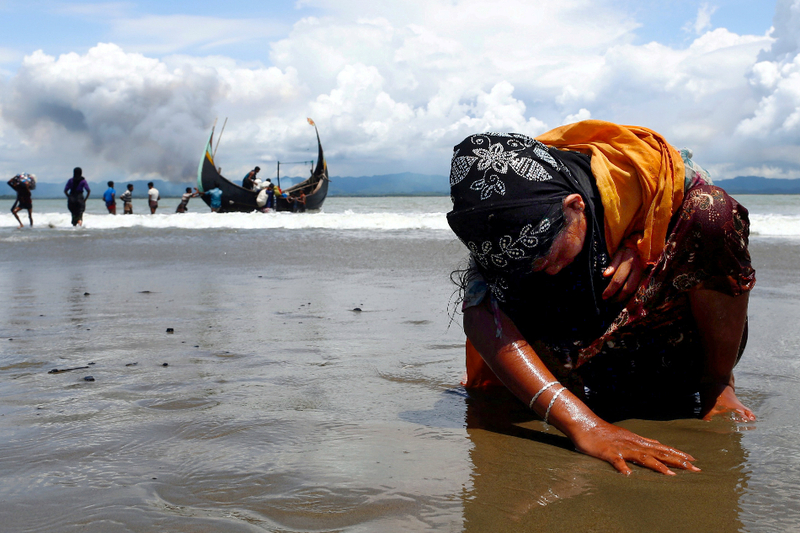 It is absolutely outrageous that the Burmese government denies the atrocities, the killings. 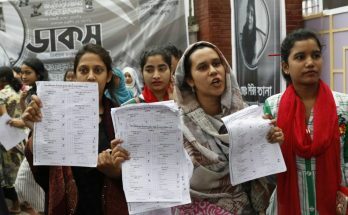 In an interview with NPR, a former military officer claimed that the photographs and videos are doctored, that the people are lying in order to get help from Bangladesh. He claimed they don’t kill anyone, particular children, because they are Buddhists. Soon after, I read Bina Apa’s (Bina D’Costa) note from a refugee camp along the border where she played hide-and-seek with three little children whose four siblings have been killed by the military. 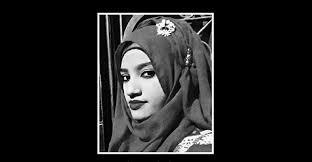 “কাইড্ডা হালাইসে|” (pronounced kaidda halaisey)–butchered them, they told her—two words that have been haunting me since. And then, I read about the Pope’s visit to Myanmar where he talked about unity and peace, but failed to mention the Rohingya. Why did he go, then? This should make us all angry, more so, when we realize that the outright lies, the careful omissions, the silence, the militarism, the manipulation of borders to deny people even the basic rights are part of the new normal, accompanying refugee crises all over the world.